I don’t think that a comedy performance—You know, it’s essentially the same job, no matter what. You find out what your character wants and then you go for it. That’s really how to do anything. They’re just going to write more jokes for you if it’s a comedy. 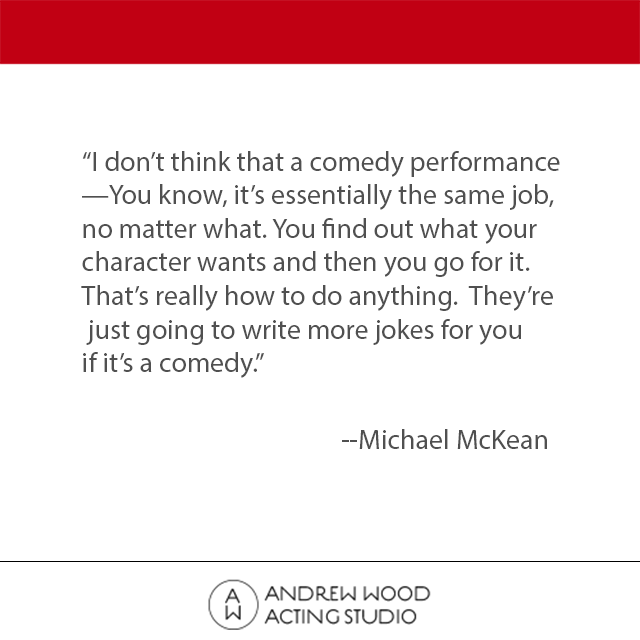 Like Odenkirk, McKean is best known for comedy, with a career that stretches from Laverne & Shirley through his roles in This Is Spinal Tap, Waiting for Guffman, and Clue. But his dramatic talents are on full view at the moment, both on TV and on stage, where he’s appearing in the Tony-winning production of The Little Foxes at the Manhattan Theatre Club. One of the central insights of Stanislavsky is that by focusing on the goal(s) of the character in a particular situation, an actor can go a long way towards entering the role and embodying the character’s experience. The term of art for such a goal is an objective. In the approach I teach at AWAS, we think in two types of objectives: we can call these two types of objectives needs and plans. Basically, a character has a need, and from that need, forms a plan about how to get that need met. In my approach, the game is to keep the need primary, and not allow it to be eclipsed by the plan, which is usually easier to spot and simpler to pursue. Pursuing the plan always has to be seen as a means of getting the need met. One good thing about this approach is that it allows a character (and actor) to adapt to circumstances which change as the script proceeds to change her plan, but to still have a single need which she pursues. It’s perhaps hard to explain why having a single need is valuable, but suffice to say it has tremendous organizing power, ultimately simplifying what an actor needs to focus on in her performance. With this setup, we get to have our cake and eat it too: the ability to change plans affords us flexibility, and the single need grants our work continuity and ultimately integrity. The question arises, though: what about a situation where a character is conflicted or ambivalent? He wants to have his cake and eat it too, but unhappily for him, in his case, there is no way to have both. How should the actor approach this? The danger here is that the actor becomes focused on his conflicting feelings. In the approach I teach, the only thing approaching a feeling that the actor should focus on is his need. He can have feelings, such as sadness or joy or regret or anger, but he always directs his attention to his need and his plan, and the feelings come and go as they come and go. They are never the appropriate object of his attention. But in a situation where a character is ambivalent, the temptation can become very strong for an actor to focus on her conflicting feelings. This would be a mistake, and would enmire the actor in a morass of self-consciousness (as focusing on her emotional experience always will). What is the way out of this impasse? The answer is to take the so-called inner conflict and translate it into an outer one. If someone is conflicted, he is conflicted, ultimately, about what to do. Should I open door number one, or do number two? Should I stay here with you and make the best of it, or go home and lick my wounds over how you have rejected and betrayed me? There is usually some way of seeing an emotional conflict in spatial terms, such as what I have described. But to give this solution legs, as it were, we need another couple of concepts. One is Uta Hagen’s concept of destination. “The reason for movement is destination!” is her refrain in the chapter of A Challenge for the Actor entitled “Animation”. What she means by this, on first encounter, seems to be the familiar admonition that when an actor moves in a scene, the movement needs to be coupled with an intention to go somewhere in particular, it can’t be an arbitrary movement utterly devoid of purpose. An important insight that helps actors overcome the tendency to wander around the space aimlessly, often as a way of alleviating the discomfort of encounter with the partner or of being watched. But this is only the beginning of the usefulness of Hagen’s concept of destination. We can talk about destinations “heating up”: as the prospect of physically moving towards a destination becomes more appealing, we say that the destination “heats up”. The actor should start to imagine it as exerting a well-nigh magnetic influence on her physical being, drawing her to the destination in question like the tractor beam from Star Wars. Now, back to the actor attempting to act a character’s ambivalence or inner conflict. One side of this conflict is typically: there is something I want from my partner. The other side of this conflict is: nah, this is never going to work with this person (the partner), time to cut my losses and go somewhere else to get my need met. During the scene, as the prospect of going elsewhere begins to look like a better choice, the destination in question “heats up.” The destination in question is often outside the space in which the scene is taking place; in other words, deciding to go towards that destination often involves exiting. Even as that destination heats up, though, the prospect of getting the need met from the current partner remains, so the actor/character finds himself “caught”: he is being pulled, tractor-beam like, toward the destination that is elsewhere, but at the same time, there is still some hope of getting his need met from his partner. So typically, he continues to press the partner to do what would be necessary to meet his need, but as the external destination seems more and more like the better prospect, the “tractor beam” grows stronger and stronger. In this situation, the actor is using Stanislavsky’s notion of the circle of attention, described in the “Concentration of Attention” chapter of An Actor Prepares. The actor’s primary focus will typically be the partner, but the actor has to keep the destination (usually outside the space of the scene) in his awareness, in his circle of awareness. Keeping the destination in the actor’s circle of awareness will start to produce subtle physical changes in the body of the actor: the body will instictively begin to prepare to move: he will shift his weight, and perhaps eventually, start to orient his feet towards going towards the external destination. These changes should not be consciously and deliberately enacted by the actor; rather, they come about instinctively or unconsciously as the negotiation with the partner unfolds and the prospect of going towards the offstage exit becomes more and more appealing. Ultimately, the character will decide to stay or go, depending on how the exchange with the partner goes, and, ultimately, what the script dictates. But what has been accomplished here is the reframing of an “inner conflict” as an outer one, thus getting the actor’s attention off of herself and her emotional life, and onto the appropriate objects of her concern in the physical world. In the much-read first chapter from Richard Boleslavsky’s Acting: The First Six Lessons, Boleslavsky says that audiences watching an actor exercising her capacity for concentration correctly should “know and feel immediately” that what that audience is witnessing is more important than whatever concerns that audience members brought into the event with them. The importance of what the actor is undergoing must somehow be made evident by the actor’s engagement in her craft. No small order. The teachers I encountered at the Yale School of Drama asserted that what makes this effect possible, this immediate recognition on the part of the audience, independent of plot or story elements, is the visceral activation of the actor. If you look up the word “visceral” in the dictionary, you will likely see something like this “pertaining to primitive or elemental emotion”, and indeed, that is what the word means in contemporary usage. But the etymology tells the tale: the word originates with the Latin word viscera, which refers to the digestive tract, the intestines, or, more colloquially, the gut. Visceral activation means that in some way, the actor’s gut is involved in what he or she is doing. In our approach, this is achieved through working with the notion of objective in a particular way: objective has to be understood as visceral need. I have discussed this distinction at length on this blog, for example, here. But I’d like to say a bit about what the visceral difference looks like and sounds like, that is, what are the signs that such activation has been achieved? Actors do two things more than anything else: they talk and they listen. When a viscerally activated actor talks, they seem to be speaking from the gut, from the heart, from the core. Perhaps the most evident example of what this is like in the current moment is the current occupant of 1600 Pennsylvania Avenue. Whatever you think of Donald Trump, he has a reputation for saying what is on his mind and in his heart in a tell-it-like-it-is way. There is an immediacy to the way he speaks, and this is part of what accounts for his appeal. When a viscerally activated actor speaks, he is making use of his abdominal core muscles, most importantly, the transverse abdominis, also known as the “skinny jeans” muscles, the muscles you need to tighten in order to squeeze into skinny jeans. These muscles are deep in the layers of musculature, and they help to stabilize the spine and also interact with the diaphragm. When these muscles are activated as part of the process of verbalizing, the actor appears to be speaking with the intention of impacting the partner: there is a palpable determination to be heard and understood. An audience understands this immediately. And it has nothing to do with projecting or being loud: these muscles can be used when speaking quietly, but the effect is the same: the actor who is activated in this way wants her words to land on her partner, and make something happen. So much for the talking. The listening of a viscerally- activated actor is a bit more difficult to describe. In the process that I teach, we attempt to articulate a visceral need that the actor can embrace and pursue as a character in a given situation. This need is understood as living in the gut. This means that the actor needs to ground her attention in her gut, right behind the navel. It’s like the actor has an eye or an ear there, right behind the navel, and all of the listening needs to happen from there. 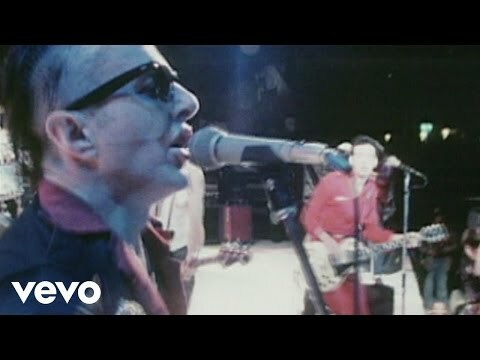 This is “listening with the need”. Everything that the partner does is immediately evaluated as either meeting the actor’s visceral need, or refusing to meet it, and this evaluation affects the actor’s next utterance, in the next moment. This is challenging to do, because when an actor does this, she gives up the ability to monitor herself and how she is being perceived by her audience. She can’t watch herself with her awareness placed in her belly, behind her navel. This requires courage, but it is so satisfying for audiences because an actor engaging in this seems utterly sincere and honest. If you consider all of this in relationship to mirror neurons we can begin to see why a viscerally engaged actor is so rewarding for audiences to watch: when the actor is viscerally activated, then through the mirror neurons of the audience, they feel themselves touched or moved in a very deep place. Achieving visceral activation, even one time, is quite challenging. Becoming an actor who habitually and instinctively works from the gut is more challenging by orders of magnitude, but is a very worthy goal, as such an actor can bring interest and life to virtually any script. An awesome power, to be sure. Like any awesome power, it comes with great responsibility. Have you seen Casy Affleck’s incredible work in Manchester-by-the Sea? If not, GO! People who tell you that understanding motivation and objectives isn’t worth it are, quite simply, full of it. I went to the Getty Center yesterday to see the London Calling exhibit, an exhibition of works by painters in London in the post-WWII period. While I was there, I tried to make use of my understanding of the Alexander Technique as I moved through the exhibition. The Alexander Technique is not an acting technique in itself, although it is very relevant to acting, and actors in the MFA acting program at the Yale School of Drama are required to study it for the entire three years of the curriculum there. My “elevator pitch” on the Alexander Technique is that it helps us to become aware of, and address, habits of what I call “micro-scrunching”, subtle contractions of muscles that we make unconsciously that interfere with our ability to move through our lives with ease, poise, and presence. For actors, this “micro-scrunching” interference causes a host of problems. One of these problems is it obstructs the actor’s process of exposing his or her vulnerability. The great psychologist Wilhelm Reich talked about the way in which our muscles often function as “armor” against the psychic blows we inevitably encounter in life. This armoring undermines the actor’s ability to make palpable his or her own vulnerability, his or her own need for meaningful connections with the world. The Alexander Technique is wonderful in terms of counteracting that physical armoring process. Another benefit of the Alexander Technique is that it can have a subtle but undeniable effect on our perception of our environment. By eliminating unnecessary muscular effort involved in perception (such as the process of fixing our gaze on something), we are free to have a closer encounter with our world. At the museum, I found that when I invoked the Alexander Technique reminders, my experience of the paintings I was regarding changed significantly. For one thing, I became more conscious of the physical surface of the painting; the textures presented themselves more strongly. At the same time, to the extent that the paintings in question depicted a scene in three-dimensional space, I found that I had a greater experience of depth-of-field in the images. This, in turn, asked me to look at what I was seeing not merely as painted figures, but as figures in three-dimensional space, which in turn asked me to regard them as people. On the whole, I found that when I remembered to invoke the Alexander Technique, my physical and emotional experience of the painting was enriched, and I had a more vivid, sensuous experience, and as a less guarded, intellectual one. A richer sensory experience can not help but enrich and strengthen an actor’s work. The experience at the museum re-affirmed my conviction about the value of the Alexander Technique all over again. The idea of acting being “physical” is a popular one. Actors live in fear of being “in their heads”, and hope that their acting is physical and not intellectual. Well and good. But riddle me this: if acting is or should be physical, in what physical part of the body does it happen? In the face? In the chest, in close proximity to the heart? If you like the idea of acting being not only physical but “visceral”, then you want acting to take place in the actor’s gut, in the pit of his stomach. That’s what visceral means: gut-level. But so much of acting and film and television happens in close-up. So what of the gut, in that case? The face, the neck, perhaps the chest: that’s where the action is. Acting has to happen there, or not at all, if it is to show up on camera, right? What is happening viscerally, at the gut level, shows up in the face and in the eyes. And if nothing is happening viscerally, that shows up too. Sometimes actors fall into thinking they have to “act” only with what is visible in the camera frame, and while they know better than to mug and indicate, they still end up with overactive faces, because they feel like the face has to do all the work. When the acting is good, we see through your face. We see into you. Acting is an exercise in laying yourself bare. This means that generally speaking, the face should not be too active. This allows whatever is happening viscerally, at the gut level, to be visible. But if the face is too active, then what is happening viscerally is masked. Again, this is a rule of thumb, not a recommendation to keep a blank facial expression at all times. There are times when an active face is appropriate and called for. The gut is where it’s at. I was meeting a prospective student for coffee the other day, like I do, and I was describing how the scene study portion of the class works. I was explaining that the first time a pair puts a scene up, I ask each actor a lot of questions, to prompt them to speak from the character’s point of view about the charater’s situation in the scene. I do this to hear the actor talk about how she has framed the scene for herself, so that I can help them see how framing the scene in another way could be a stronger way of approaching it. It’s an absolutely vital part of the process. In the course of this dialogue, things like judgments about the character that the actor may be harboring come to light, judgments which interfere with the actor’s ability to fully enter the character’s situation and fight her fight for keeps. The prospective student was nodding his head, and then he said something. I looked at him blankly. I hadn’t even understood the words that he had uttered, let alone what they could mean. I stared at him blankly. What on earth could he be saying? Then he made a gesture like he was pulling back the string of a bow, preparing to fire an arrow. In a flash, I knew what he meant. And I knew that he knew what I meant. Getting a clear understanding of the circumstances that brought a character to a certain situation (the scene), and what the character wants to see happen in the scene, are integral to being able to play the scene effectively. In the questioning process I described in class, it often is revealed that the actor has only a superficial grasp of these things. But even beyond the circumstances themselves, there is the question of whether the actor has found a way to view those circumstances in a way that is urgent or “hot”, as we say in the class. This urgency is vital for going all in on fighting the character’s fight, and getting his visceral need met. If you see the situation as a ho-hum, everyday situation, you’re not going to be bringing much passion, or much core vulnerability, to his fight. In the Essentials Workshop, I teach a framework called the Five Questions that is invaluable in focusing this process of extracting information about a character from the script and framing it so that the fight seems like one that urgently needs to be fought. This whole process is about getting calibrated appropriately, so that your acting energies are aiming at the right things, and you’re not wasting your mojo and spinning your wheels. And since it’s about aiming at the right things, “drawing the bow” is a perfect metaphor for this process. 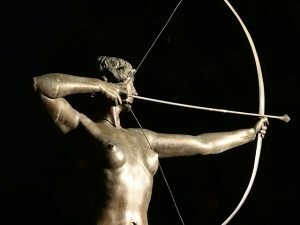 It’s the action of pulling the bow back that makes the momentum and the flight of the arrow possible. So while this process of working through the circumstances and arriving at clear, compelling framing takes a lot of challenging thinking, and can feel laborious at times, it’s work that is well worth the effort, so that you’re not giving away your shot. This prospective student ended up signing up. It’s wonderful to have such insightful students. In this podcast episode of the BAFTA’s Screenwriters’ Lecture Series, screenwriter Beau Willimon of the series House of Cards talks about the distinction between plot goals and the character’s fundamental need, which is a central distinction in class at Andrew Wood. His discussion starts at about 58:30, in response of to a questions posed by the audience. The one thing I always go to, and I mentioned it before is, what does the character need more than anything in the world? Because I believe characters’ behaviour, that’s it. You can talk to death what they’re thinking about, what their psychology is, what their motivations are, but ultimately all the character is is what they do, because that’s all we see. And if you know what they need, and they don’t have to know what they need necessarily, but if you know what they need then all their behaviour will be dictated by that. And then their needs will conflict with other people’s needs, and that’s where you get the conflict of drama. And the honesty of that conflict is completely determined by the brutal honesty you have about these characters’ needs. And these needs tend to be things, they’re not plot driven. It’s not like this person needs to get a new job, that’s plot. A need is, this person needs respect, this person needs love, this person needs validation, this person needs warmth. And all of the sort of tertiary needs that derive from that usually go back to that same core need, and I guess that’s as much as I can say about it. Is Loki a villain or an antihero? 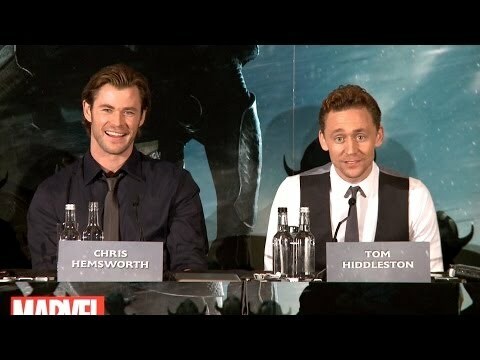 At the end of that last interview, Chris Hemsworth asks him how he knows so much about this. Maybe he learned it during his training at the Royal Academy of Dramatic Arts (RADA), one of the world’s great drama schools? I saw a link to this incredible story on Twitter this morning. Serna was almost killed three times: once, by a roadside bomb, then again by a suicide bomber. During a tour in 2008, Serna and three other soldiers were driving down a narrow dirt road in Kandahar when their armored truck toppled into a canal, the Associated Press reported. As water filled the vehicle, Serna struggled to escape. It was his fellow soldier, Sgt. James Treber, who saved him. Treber died from the accident, but Serna survived. He was the only one who did. As Serna sat down on the cot in his cell, WRAL reported, he heard the door rattle open again and saw Olivera standing before him. Olivera sat down beside him. Someone came and locked the door. A Gulf War veteran himself, Olivera was concerned that leaving Serna in isolation for a night would trigger his PTSD. “They have worn the uniform and we know they can be contributing members of society,” Olivera said. “We just want to get them back there. Olivera’s action illustrates an important principle in acting: what I (and my mentors at Yale) referred to as playing to win. The judge felt so strongly about the well-being of his charge that he did what was necessary to guarantee that the soldier came through his imprisonment sound in mind and body. Playing to win means that the actor needs to treat the needs and goals of the character as urgent priorities that must be pursued passionately, relentlessly, and without compromise. It’s tempting for the actor to treat the unfolding of the story as something fore-ordained by the writer, thus relieving the actor of the need to pursue the goals of the character with tenacity, and fully experience the ecstasy of victory and the agony of defeat, as they are incurred. Of course, the actor doesn’t usually have the option to change the choices that the character makes and to decide to pursue the needs and goals in a way other than the ones prescribed by the script. But the fact that these choices have been made by the writer does not mean that the actor’s task is to simply stroll through the character’s journey; the actor has to fight, tooth and nail, for the character’s priorities. He or she needs to be willing to break the proverbial eggs necessary to make an omelette in the pursuit of the character’s priorities, even though the character’s fate is a foregone conclusion. Earle Gister liked to quote Nietzsche: “A man’s maturity: to have regained the seriousness that he had as a child at play.” Treating the character’s priorities with utmost seriousness is one mark of an actor’s maturity.